There are two things a designer forever has the need for – more money and more resources. Well, we cannot (directly) help with the money part, we can see to your need for exceptional resources, which would (hopefully) get money to flow in. Check out our list of 10 popular and versatile themes and plugins, and let us know which one did you like best. One page websites are well on their way to becoming the next big thing, just look at how many business-centric websites are imperceptibly switching over to this option. And there’s a reason why the old-school layout with scattered texts, images and CTAs are going out of vogue, not only are they blah but they aren’t as intuitive and seamless as a one page design is. And it’s not just business or content related websites that would make the switch, but other niches too. So it would save you from frantically searching for a good theme when the need arises if you start stocking up on them now. And one such theme is the BigWave that hikes up the aesthetics, is loaded with features like multiple portfolio shots and multiple categories but it would make surfing (see what we did there?) the website a fun experience. If your clients use their WordPress page predominantly for blogging or content marketing, this is a theme you should suggest them to consider. They might be producing fantastic content by the hour but unless the spotlight shines on them it’s useless. Ad a great way to do that – on not just recently published pieces but also formerly uploaded ones – is by choosing a theme like Sentio. 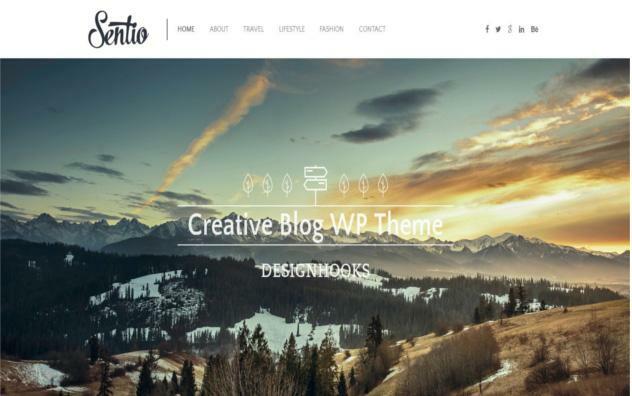 With maximum exposure to content and a sleek interface, this theme has been downloaded thousands of times already. A responsive theme that would also be a great fit to display your own portfolio, Sentio is a pertinent theme for every person who expects to earn a gig through maximum portfolio visibility. 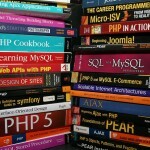 CyberChimps is a known name among designers and SEO guys, so when they come out with a theme, it’s bound to be a hit. And a hit it is, with 1.5 million downloads, this theme is simplistically sophisticated. 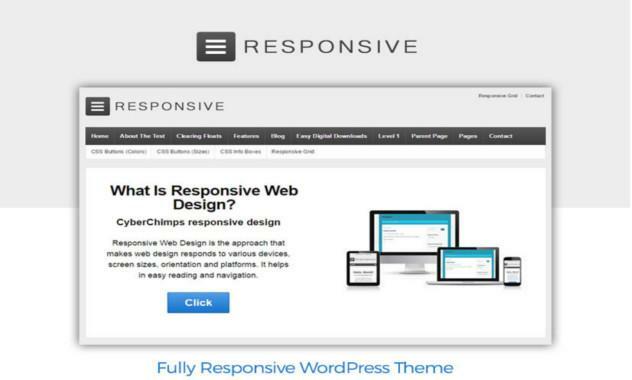 The eponymous Responsive theme is a powerhouse of features – from being SEO friendly and WooCommerce compatible to complete CMS control – and is also customizable as per the website’s objectives. 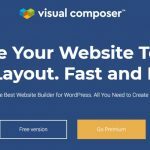 There’s no need to go deep into coding as its fluid and stackable grid system does all the major coding work for you, so you save time and effort while creating a website that has a superior sleek and professional look to it. Another of our themes that’s not just surprisingly loved by a lot of designers but also downloaded a good number of times. Perhaps it is its specific design that makes the Home Remodeling theme a clear winner in its niche. 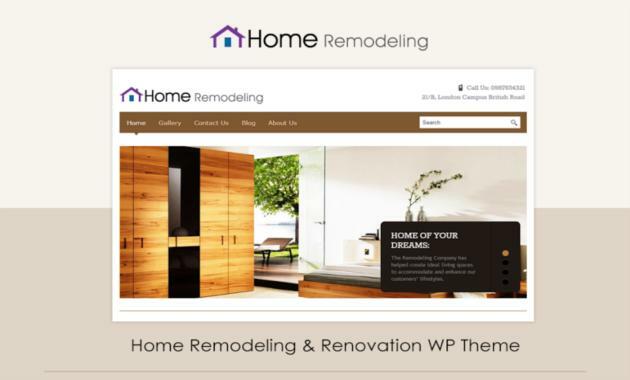 You mightn’t be flooded with requests to design a Home Remodeling website but don’t think you might never be approached for one. Although unique as it is, it’s pretty much gaining popularity with the complementary boost it gets from the rising real estate scenario. 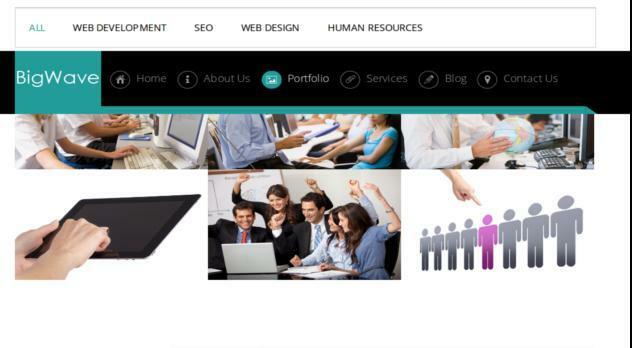 The theme can also be worked into a website centered around an interior or exterior designing business, and boasts of a range of deluxe features like a grid portfolio section, built in AJAX/PHP form, different skin color options and a lot more. Bill Gates got a lot of things right, one of them – and one the credibility for which isn’t generally attributed to him – is proclaiming that ‘Content is King’. It definitely is, whether you are just sharing content to become an authority in your industry, to share your thoughts or as a part of your content marketing objectives, the power of content cannot be sidelined. And when you need to push important content, you need to do so with the voice in the background muted, or at least tuned to a soothing white noise. In that case, the website theme shouldn’t overpower your content. 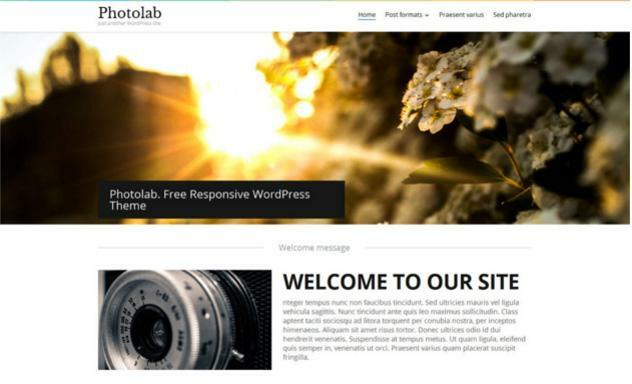 Whether it’s a portfolio platform you seek to create for a client or simply a blogger’s page with a lot of relative and subjective content, PhotoLab is the right guy for the job. Holding its own in terms of design and functionality, it lends the perfect platform for your content to shine. And its flat layout ensures that you tune it for every project, thus giving an overall personalized feel. Most websites who claim to value their readers keep them in the dark. You might think that hey I’m going to put my website on temporary hold and then come back better than before. And I should definitely send out a mail to keep my readers informed. Good move but what if they ignore your mail (there’s an 80% chance of that happening), and then they key in your sites URL and are presented with a 404. So what happened? Did the website got pulled down, is it gone forever, will they come back, why leave them in the dark? Traffic is important, and even if you aren’t an SEO guy, you should know that it could make or break a website. So the next time a client asks you to revamp a website, suggest putting up a countdown timer, not only would this make you more than just a designer to them – they’d consider you to be someone who cares about their work– but it would strengthen your position as someone who knows their mettle. And the countdown timer plugin also comes handy when you have to announce a sale or the end of one, or if you have to count down to an event. A lot of web masters include e-mail marketing as an important content marketing strategy but not a lot of them are reaping the expected benefits out of it. To start with, you need to organize your subscribers’ list into different categories – are they hot prospects, someone who just subscribed, an existing customer, a miffed customer – then you have to work on creating the perfect e-mail, then how many posts to integrate in an e-mail? That’s a lot of work, instead of hiring someone to do it, just install the Newsletter plugin that will make your e-mail marketing campaigns so much easier and superior. 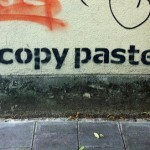 Want to emulate Dan Brown and whip your own literary bestseller, albeit one post at a time? 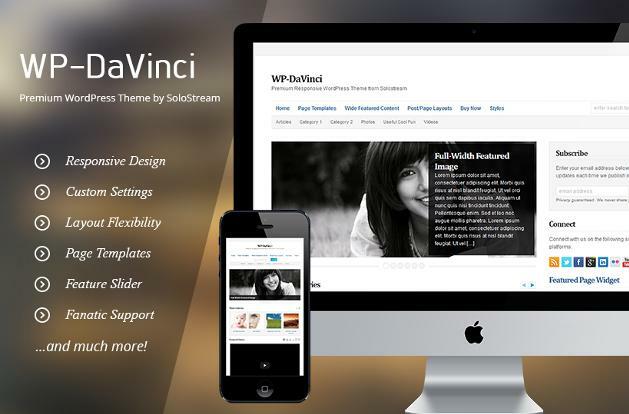 The DaVinci theme would fit like a glove for any blog or magazine-based website. A de-cluttered and exceptional layout with the perfect background color would make your posts stand out. Attract the right traffic and be found in search engine result pages with in-built SEO features or simply use the custom setting option to personalize it as you deem fit. 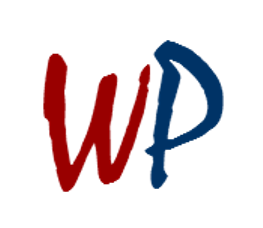 Is your portfolio on WordPress? Then take advantage of this plugin to make your portfolio work stand out. From stunning images to video thumbnails, use your work to impress prospects who chance upon your site. With tons of configuration settings, create beautiful slideshares, wow them, and get more work! Which is your favorite freebie on the list?